Trongsa Dzong in central Bhutan, originally built in 1644, is the seat of power for the future monarch, who begins his rise to power as the governor of the Trongsa district. The Dzong?or fortress?is one of many in the country that historically provided sanctuary for the country's people during war and strife. From coverage of revisit to Material World Project family in Bhutan, 2001. Architecture. 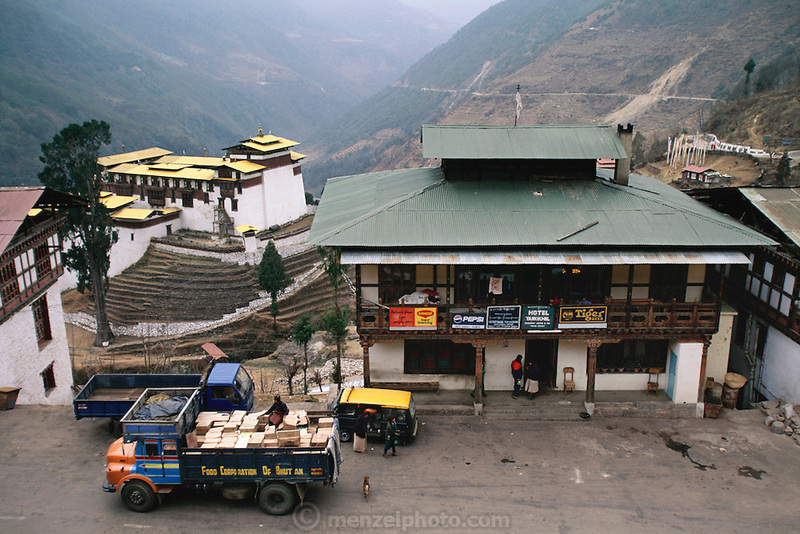 From coverage of revisit to Material World Project family in Bhutan, 2001.